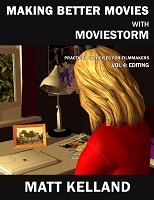 This page contains loads of free reference and learning resources for download, including filmmaking ro improve filmmaking skills, through to qualified film and media studies lesson plans, created by teachers, for teachers. Qualified teachers have started sharing their lesson plans on 3rd party sites. Here are some links to a selection of them. Keep checking back to see what's new! This lesson is about producing promotional media. This lesson provides will provide an introduction to camera shots and movements. This lesson will provide an introduction to using static and moving cameras.